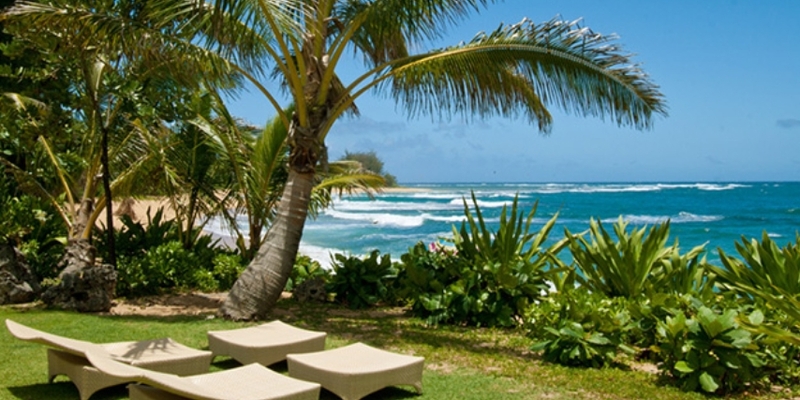 Enjoy a Hawaiian vacation of white sand beaches, coral reefs, sea turtles, waterfalls and a warm blue ocean. 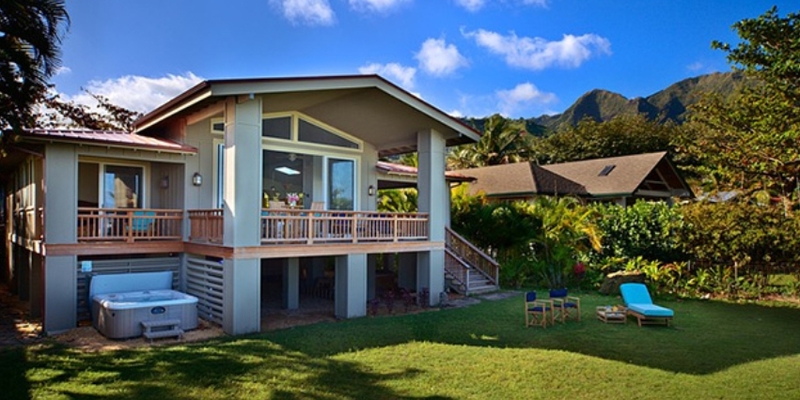 This new home is located on a stunning white sand cove with famous Tunnels Beach a short stroll away and some of Kauai's best shelling right out the back door. Tropical plants such as ginger, papaya and hibiscus surround the house and the fragrance of belladonna and jasmine fill the night air. 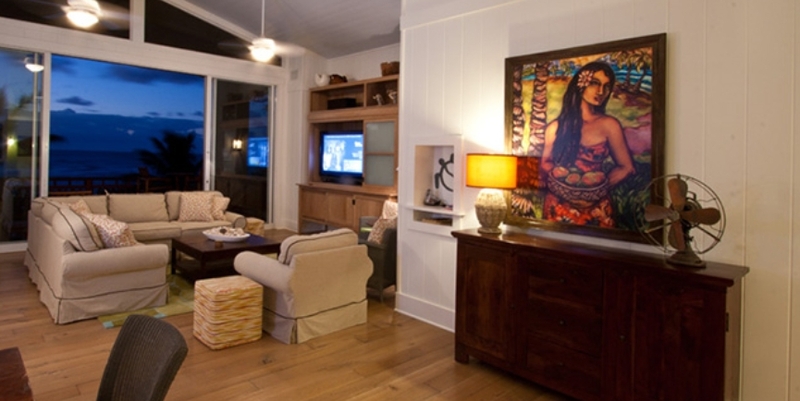 The Banana Beach House design is Hawaiian Plantation Style with a light, open floor plan: including four bedrooms, 4.5 private baths, large kitchen, inside and outside dining, 4 covered lanais, quality entertainment centers, board games, book library, two outside showers and jacuzzi. 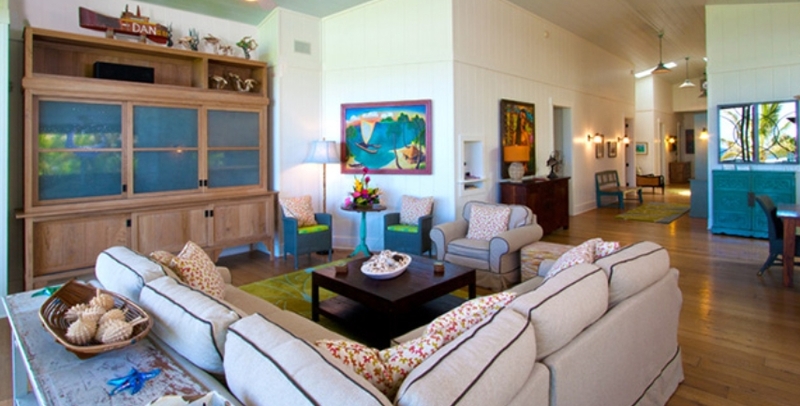 Sleeping arrangements include two master suites with king beds, air conditioning, and walk-in showers. 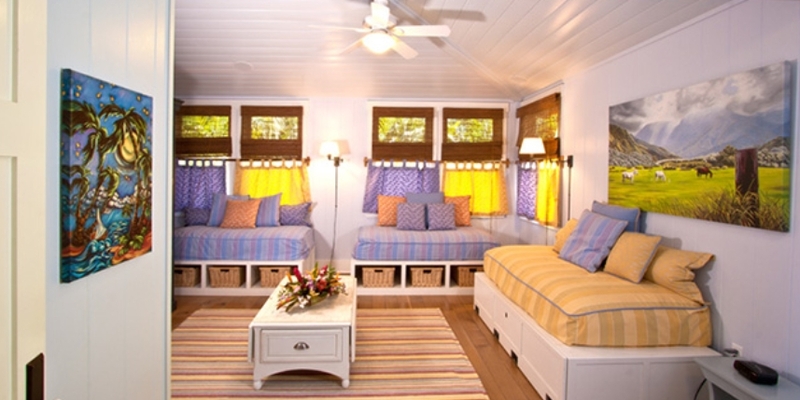 The kids have their own bunkroom which sleeps four on three plush daybeds and a trundle. 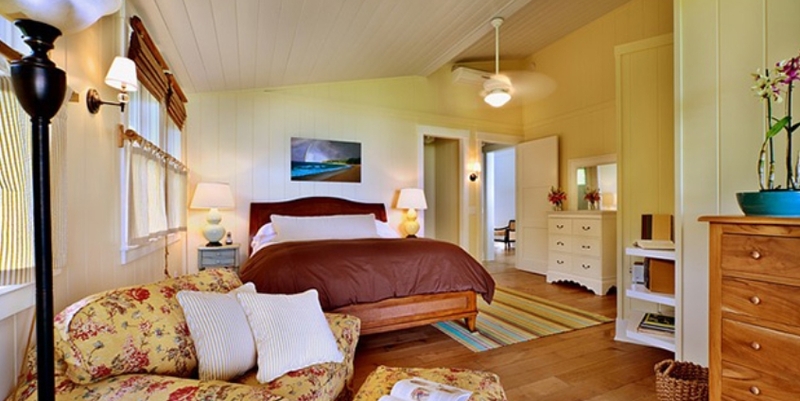 The guestroom has a queen bed also with its own private bath.